It is high time we discuss a new adware-type program called Qubiv. This application is design to display commercial advertisements. If you do not want to see annoying and intrusive ads, then you ought to remove this application as soon as possible. Also, like most adware, it is bound to promote shady content that can pose a danger to your computer’s security and your privacy. However, this may not be apparent because this application’s developers have marketed it as a service that offers free online games. 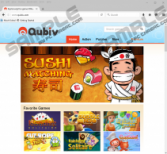 While can play games on its website, Qubiv is used exclusively for generating advertising revenue. While gathering information about this program, we found that it belongs to the same category of adware as Gamevance, a program that includes applications that offer free games in exchange for showing commercial advertisements. Among other things, Qubiv is set to promote its parent website at Qubiv.com, but you cannot get it from this site because it is distributed using software bundling. We do not have much information about the peculiarities about its dissemination, but it seems that Qubiv comes bundled with freeware installers, universal installers used for installing several applications that come from different developers. We think that this adware may come as an additional offer that you can either deselect or install it at will. It comes as a browser extension and will be installed on Mozilla Firefox and Google Chrome. Once on your computer, it will begin its rather annoying function of promoting third-party content. It includes a toolbar that is set to feature a link to Qubiv.com. Nevertheless, its other promoted content is shown in the form of in-texts, pop-ups, pop-unders, banners, and so on. 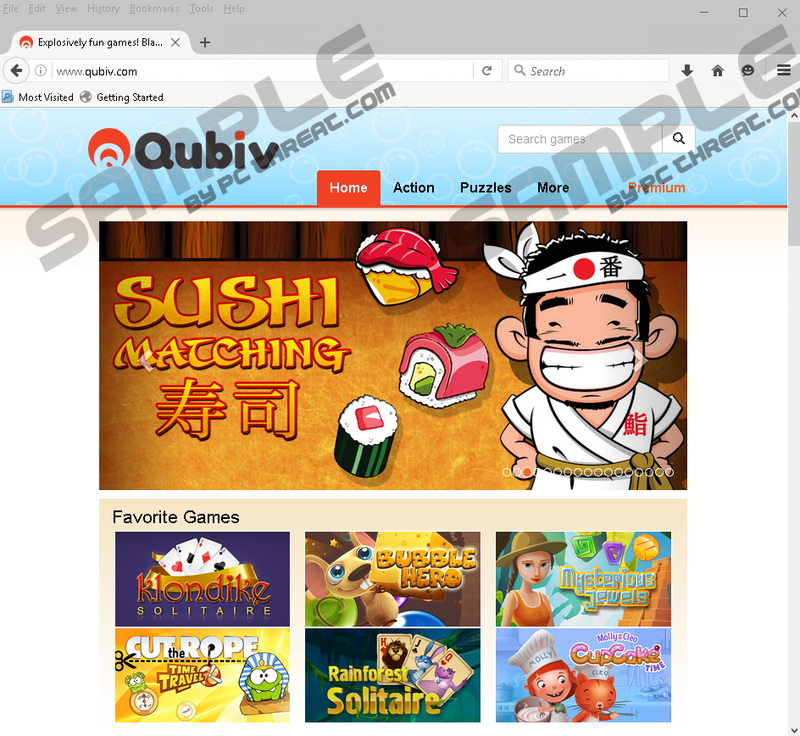 Of particular note is the fact that Qubiv.com is hosted on the same server as Arcadesoda.com, Gameszing.com, Arcadegiant.com, and dozens of other online game-hosting sites, so we are convinced that each of them have their own dedicated adware applications. Some programs have already been found, and they are called ArcadeBunny, ArcadeSwim, and ArcadeBayou. At any rate, Qubiv’s advertisements are labeled with its name and are clickable, meaning that they will redirect you to a website on which you can purchase the advertised product or service. In summary, Qubiv is a mere adware-type program whose objective is to promote third-party content and make money for its developers. Alas, there is no way to tell whether the promoted content is legitimate as we think that it is entirely possible that it can promote shady websites, especially since Qubiv.com is also a shady site that comes from an unknown company. If you want to get rid of Qubiv, then feel free to make use of the removal guide below. Open the browser, and simultaneously press Alt+F. Open the browser, and simultaneously press Ctrl+Shift+A. Click Extensions and remove Qubiv. Quick & tested solution for Qubiv removal.